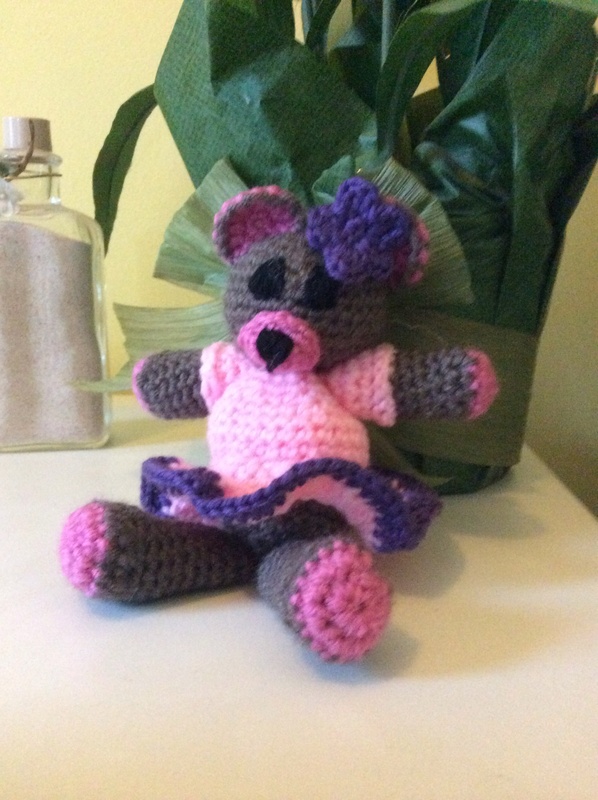 A friend of mine asked me to make a little girl named Emma a teddy bear to celebrate her birthday and her favorite colors are pink and purple. 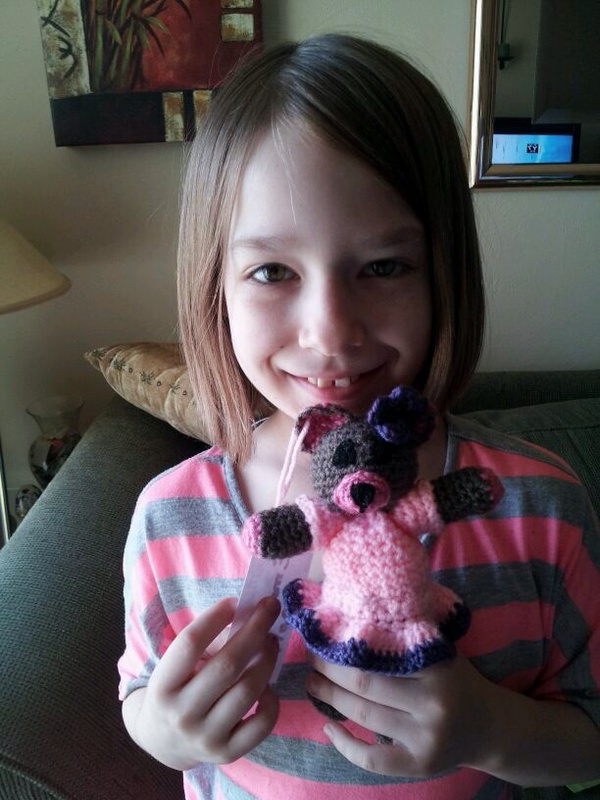 She loves the bear and named her “Pinkie”. I think Pinkie is a very lucky bear. She’s going to get lots of hugs! ← All set for snow! Crocheted Scarf!